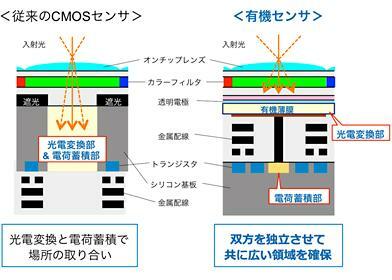 Panasonic previously announced the development of their 8k Organic Sensor. 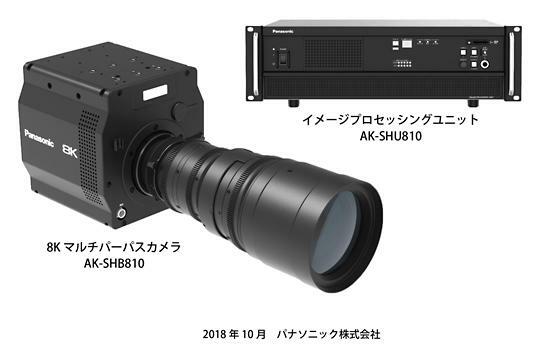 Now they have announced an 8k camera that uses the sensor the 8K Multipurpose Camera AK – SHB 810. 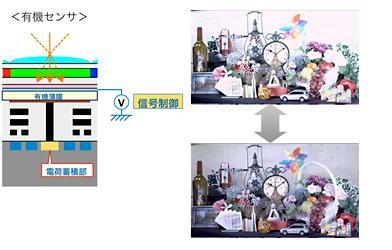 Panasonic Corporation has developed the 8K camera system equipped with the world’s first*1 8K organic sensor. We plan to launch it in the fall of 2019※2 . *1: As of October 2018, we looked into our company. As an image processing sensor of accumulation structure using organic thin film for photoelectric conversion part. ※2: We will receive about half a year from order receipt to delivery. *3: The global shutter operates only when the shutter speed is faster than 1/120. Organic sensors can change the sensitivity by controlling the voltage applied to the organic thin film. The electronic ND filter is capable of continuous step-by-step sensitivity setting, and the degree of freedom of photography is further improved. This entry was posted in Panasonic and tagged 8k video, AK - SHB 810, Organic Image Sensor, Panasonic 8K, Remove term: Panasonic 8K organic sensor camera Panasonic 8K Organic Sensor Camera. Bookmark the permalink. Trackbacks are closed, but you can post a comment.